Photo by Danielle Chastaine: Magnolia Historical Society member Monica Wooton recreates a childhood photo for the third Magnolia History book. 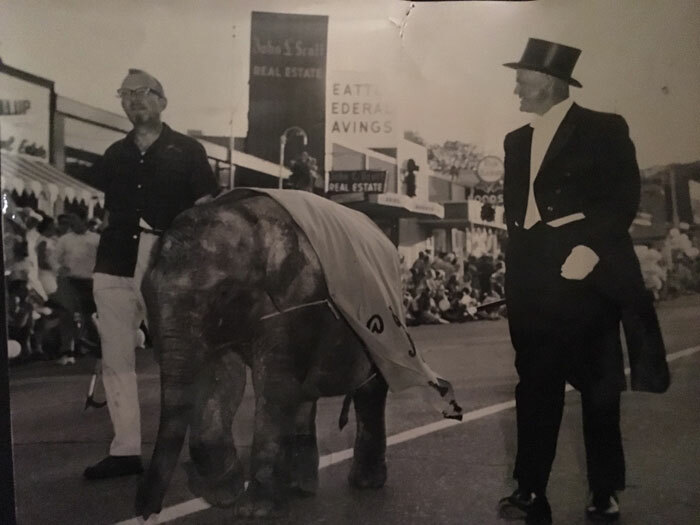 Photo courtesy of Mike Smith: Russ Jacobson, then owner of LeRoux’s Men’s and Boy’s Wear, borrowed an elephant from the Woodland Park Zoo for the Magnolia Parade in 1955. 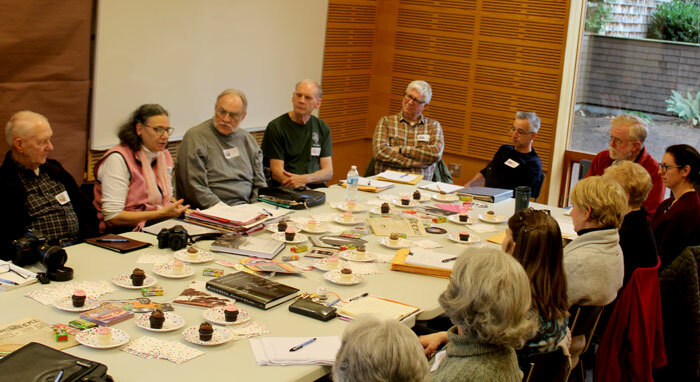 Photo by Danielle Chastaine: Members and volunteers of the Magnolia Historical Society sit and discuss the second draft of the third Magnolia History book. After the immediate success of the group's first two books, the Magnolia Historical Society is working diligently to put out a third book about the neighborhood's rich history. For many of the members, this third book has been the biggest joy to write because it focuses on the time during their childhood, the 1950s and ‘60s. “It's a more relatable era," said Monica Wooton, who is leading the charge to get the book published. “Some of the personal memories makes the book interesting." There was an interest for a historical book from some members of the long-standing Magnolia Community Club, which is now the Magnolia Community Council. Wooton served as the historical chair for the club in 1998. Wooton had been attending school at the University of Washington and had done similar projects. She was interested in finding authors who could research and write about her neighborhood. Wooten found 12 authors, plus herself, and the group worked to publish the first book. The first book included articles, photos and neighborhood maps focused on the 1910s and ‘20s. After the book was published, it received a few awards. Due to the success of the book, the Magnolia Historical Society formed in 2001. When the society announced it was going to publish a second book, focused on the 1930s and ‘40s, 32 volunteer authors and researchers signed up to help with the project. The second book was also a hit among the neighborhood, and it helped gain the Magnolia Historical Society some notoriety in the city. “The second book was nominated for two awards," Wooton said. “(The books) stand as a model for other neighborhood projects." The third book has a mix of past authors and newcomers at the table. Guy Besner is one of the newest members; he moved to Magnolia five years ago from Victoria, Canada. His career included research and writing about architecture and history, so he had to jump in when he heard about the third Magnolia history book. 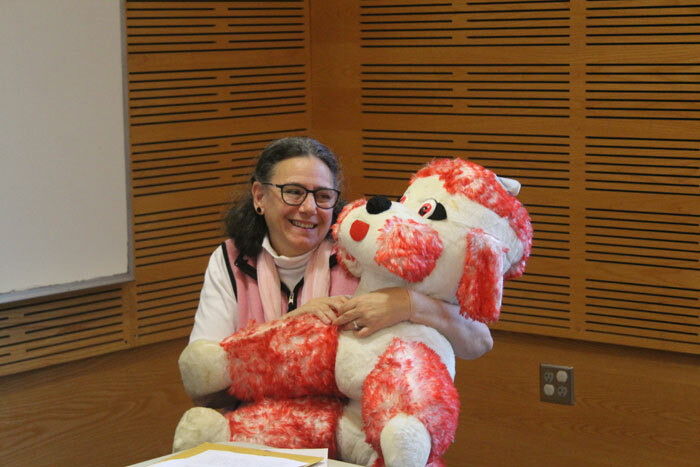 “I like new challenges and adventures," Besner said. The Magnolia house is not one house, but an architectural style he noticed while out for walks around the neighborhood. One main feature Besner noticed was the use of Roman brick in many of the older homes around the neighborhood. Through research, Besner discovered a story about a few local architects and what inspired their work. Other topics will include the British Invasion in Magnolia, when British bands became a sensation in the area. One article focuses on the band Tom Thumb and the Casuals, dubbed The Beatles of Magnolia. The project is funded through donors and grants, including Seattle Department of Neighborhoods matching grants. Last year the city gave the Magnolia Historical Society $100,000 in matching funds for the book. Although authors, researchers and editors are all volunteers, they track their time based on the idea that they would make about $20 an hour if paid for their work. The time logs are sent to the city to show how volunteers are in a sense matching the funds. Past project supporters also support the book through presales. Wooton is now working on the ad campaign and spreading the word about this project. “I'm enmeshed, I'm consumed, I'm so focused," she said. “This is not history at a distance. It's amazing to see these stories from where you grew up and find out things you had no idea was happening." Volunteers are in the process of peer editing, collecting photographs and working with their publisher. The book will be sent to the publisher in August, with plans for an October release.